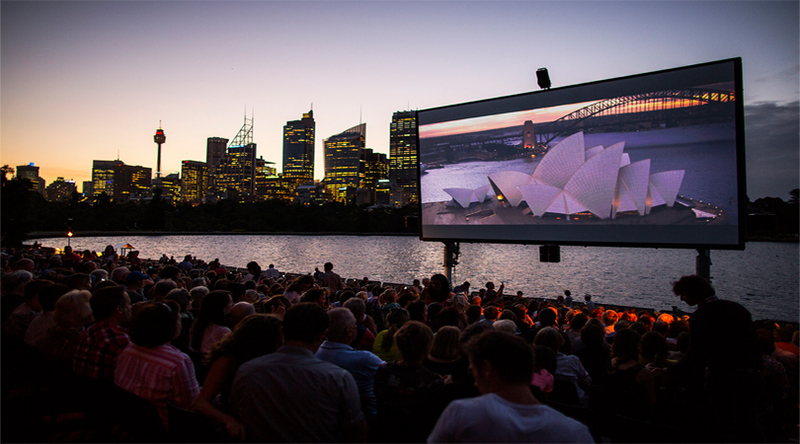 Open air cinemas hold a unique place in our imaginations. The atmosphere under the stars with the bustling sound of the city and the people of different ages and the backgrounds by the giant screen is indeed hell of an escapade to be experienced atleast once in your lifetime. 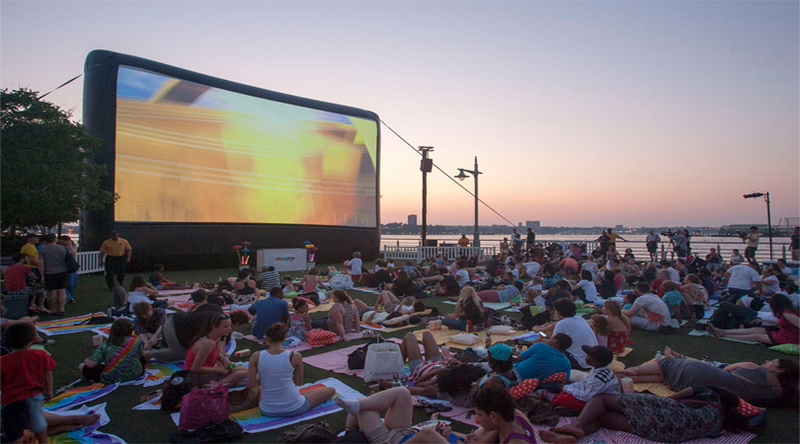 Below is the list of the world’s coolest outdoor cinemas, where the Chances are that you’ll be so enthralled with your surroundings you might not even care about the movie. It might be difficult to remember what movie you will be watching with the Sydney opera house, the harbor, and the harbor as the milieu. The place attracts around 2,000 attendees who come to enjoy this amazing setting along with some tasty food delicacies sold by the local restaurants. So at any time sooner if you are planning for a trip to Sydney, do not forget to have this extravagant experience, which you can cherish forever. Rathaus’ is a German word for city hall. Every summer the city of Vienna is surrounded by the plaza, where a 65 day long film festival is organized in the hall of the building. At this stunning sight, the movies are shown on a soaring, 300 sq meter HD screen, where the people can enjoy the movie in the refreshing open air and sometimes under the shining stars. The theater also hosts opera performances, jazz concerts and ballet. The food is also available at the booths set up in the vicinity of the plaza with food options available from all over the world. The city of Italy turns into the most significant outdoor movie venue, surrounded by stunning architecture on all sides of the plaza. 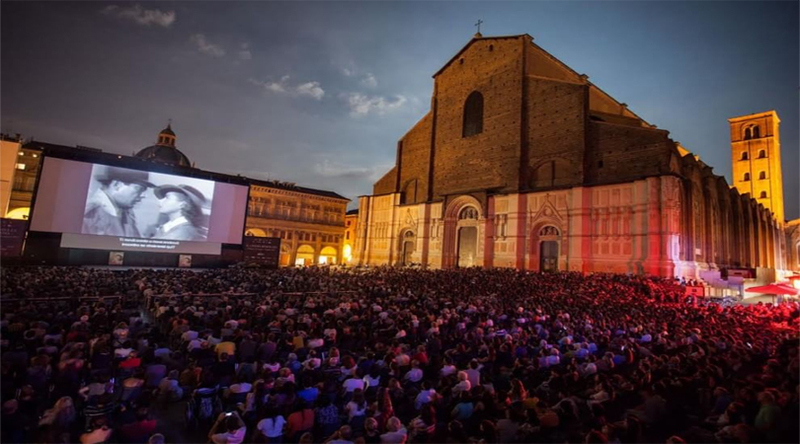 Cineteca di Bologna holds 51 screenings of the movies under the sparkling sky with eight nights devoted to ‘Il Cinema Ritrovato” (Cinema Rediscovered) a display of classic movies. It is also believed that the screen of Piazza Maggiore is the largest in Europe. Experience the refreshing air with a great movie and some awesome people in this famous open-air- theatre. One of the famous attractions in Barcelona, Sala Montjuic presents most wonderful experience every year to June 30th-7th August. 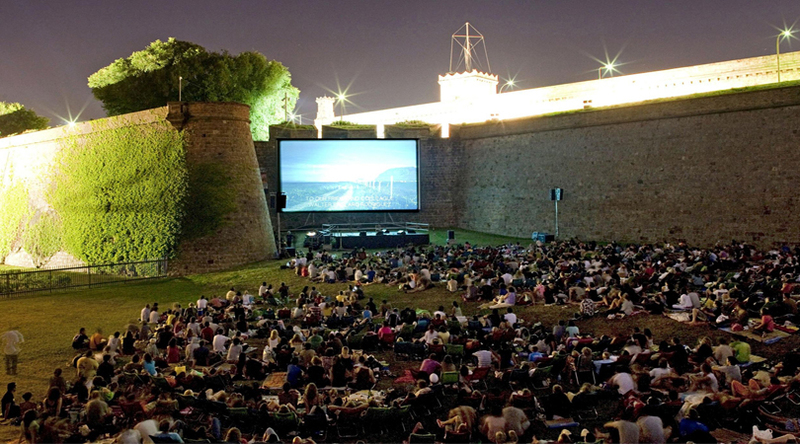 Castle of Montjuic becomes a stunning outdoor entertaining spot, playing world famous movies and amazing live concerts. Located on the tranquil hill, away from the city’s hustle, charming ambience and some astonishing views of Barcelona skyline is nothing but a wonder. The show starts 10 pm, when night falls over lively Barcelona, and is usually the head by a short film or a live music gig (21.00). Visitors indulge themselves in a series of local specialties and beers offered by the food stalls located near the venue. 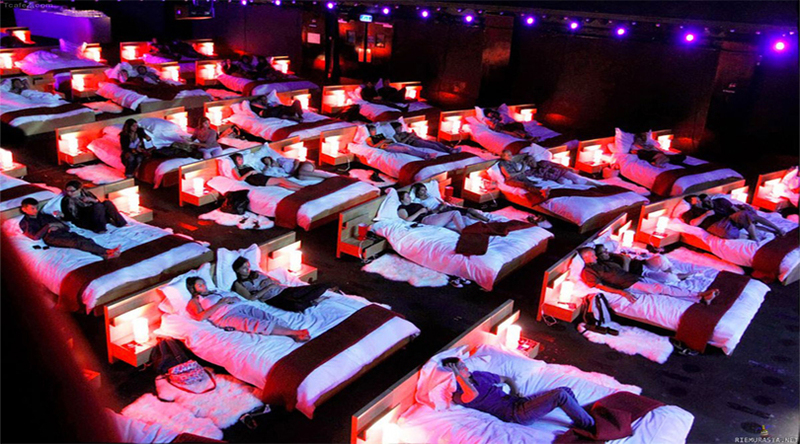 Of all open air cinema’s this is the most bizarre one for those cinema lovers. 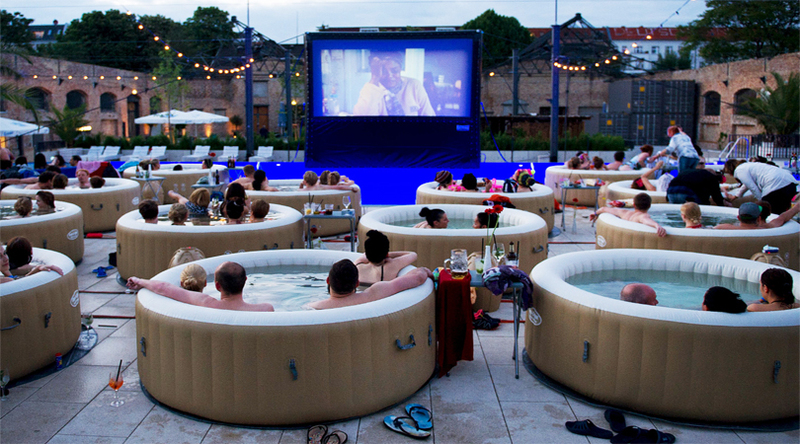 The place offers a hot bathtub, where while sipping on the glass, you can watch the popular cult movies. The venue of this party is not fixed though, and it can pop up here and there, sometimes even in the empty underground station in Shoreditch which has even spread to the New York City. So if you are not afraid of getting wet, bring along your six to seven friends and enjoy the cinema-watching in the comfortable hot tub, only make sure to bring your swimwear with you all the times. 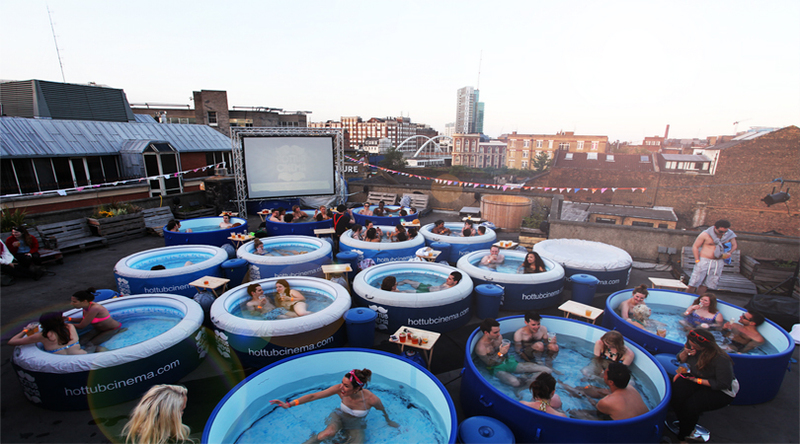 We have always tried out rooftop bars, why not this time a rooftop movie theatre? Located in the Plaka in Athens, This huge one single screen is structured on the rooftop and is famously known as Cine Paris. The offbeat setting is so charming that you might end up not concentrating on the movie but more on the surroundings. The place also offers amazing views of the Acropolis. For the core movie lovers, there is an option where you can buy the movie posters from the ground level shops. Yes, this is true, a movie theatre over the cemetery. 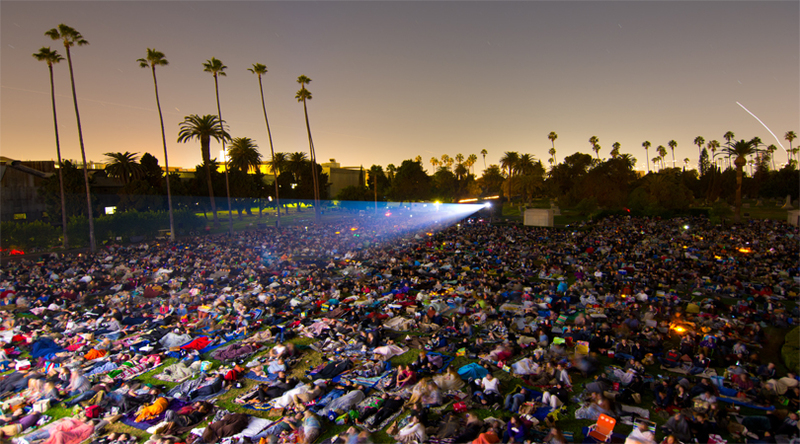 Cinespia screens movies on the grounds of the historic Hollywood Forever Cemetery, where the movies are screened on a large screen setup. It is advised to enjoy the movie time by bringing your own pillows, chairs, blankets, food and drinks (but no hard liquor). DJs play the music till the sun goes down and then this exciting experience of show begin. It is a place where you get to watch a movie on a flight deck. The summer movie series at the intrepid sea, air and space museum offers you an experience of a pre- movie tour. Do try out the Growler submarine, Concorde airline or the Enterprise space shuttle along with the stunning views of the Hudson River. The place offers its annual screen of movies in the big screen and invites its guests to bring along blankets and food baskets. Established in the year 1991, the place is modeled as a 1950’s drive-in cinema. The booths are constructed to resemble as the convertibles of that time. 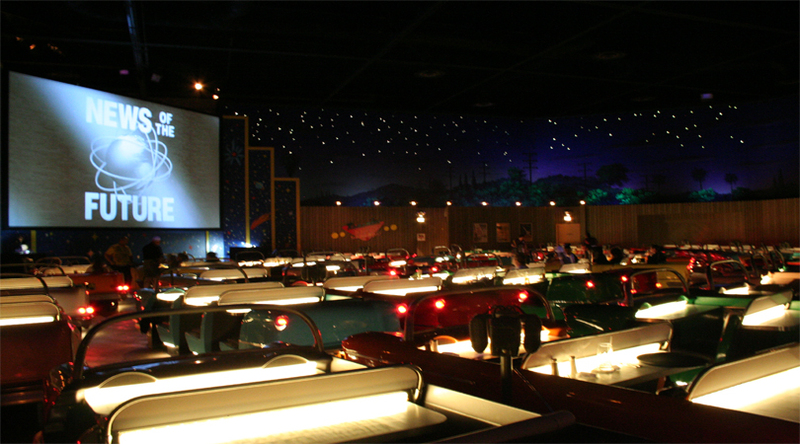 While enjoying food, the visitors gets to enjoy a large screen displaying movies from 1950’s – 1960’s, outlandish newsreels, and animated cartoons, all on a loop that lasts 47 minutes. Enjoy watching the cinema with some fine dining experience and have the experience of your lifetime. The floating cinema is an incredible floating structure that navigated through the watercourses of London and the U.K. The place organizes events varying from on board screenings, outdoor screenings and workshops organized on the location. Even the idea sounds so eclectic and thoughtful. Isn’t it? 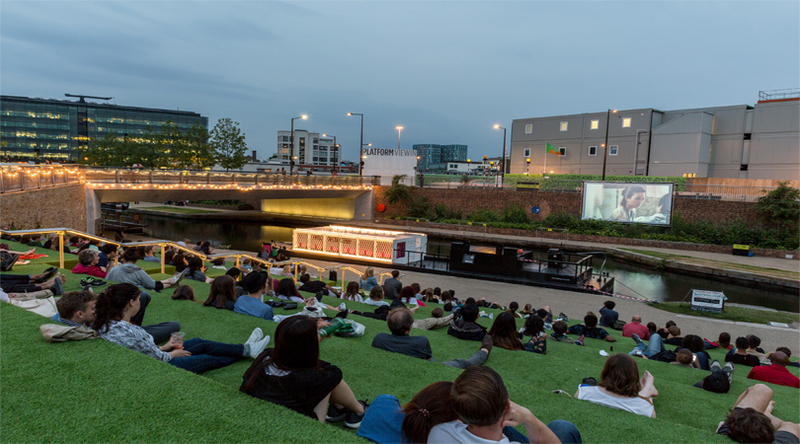 So enjoy the experience of watching a movie on the Hackney’s riverbank or you can even board a 60ft long barge.